Wondering what to expect at Whittlebury Hall? Powertap’s power meters boast great accuracy and hubs starting from £699 and complete wheelsets from £900, with the new GS on display for the first time. Cycleops’s indoor trainers start at £160 for the Wind, up to £890 for the Powerbeam – which is compatible with virtual training. Saris’ user-friendly rear mounted bike racks have a very wide fitment range and come in two or three bike options. Bones 2 and 3 are highly versatile and will feature with the new tow-ball hitch racks, having their UK debut. FFWD’s high performance road and track wheels are hand-built in Holland and will also be on show at Core alongside the likes of Ritchey’s complete range of road and MTB components and now steel frames – the new Trail range aimed at the burgeoning Enduro market. Stan’s No Tubes tubeless tyre system will be at Core too, as will CNP Elite Nutrition and its popular Hydro Max gel. Cipollini’s high performance carbon road bikes will be showcasing the £2,500 new Bond and DMT will be there with an range 80 per cent revamped for 2014 with RRPs from £75 to £225. There’ll also be Mio and VDO, the latter showing off the new M series range. 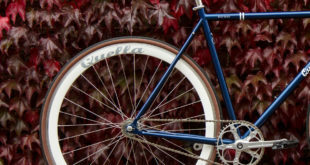 Biologic’s everyday commuter bike accessories and Adams Trailers will appear too. Chicken is spreading its wares for serious cyclists across three rooms at Core Bike 2014 during the four-day event. In the Beckett Room, technical staff are welcoming dealers, with many Campagnolo seminars taking place. Existing registered Pro Service dealers and EPS qualified mechanics are especially welcome to the 2014 component and wheel programme. Meanwhile over in the Nurburgring Room all of Chicken CycleKit brands will be on show, including a display of top quality European brands. The extremely exhaustive list of things to see and experience from Chicken’s brands includes: Selle Italia carbon Keramic rails, Iron triathlon saddles and ID match updates for 2014, Ryde Specialist Ultra Lightweight MCI, Edge MCI, Pulse 11x and Enduro Trace rims, a Miche carbon clincher wheel test programme rolled out for 30-40 IBD, KMC 50m chains on spools, technical explanations from Dutch factory specialist Rob Compas, Sapim spokes, technical explanations from Belgian factory specialist Klaus Greuter, Deda Elementi Reverse Inertia wheel sets that the company says will really help riders accelerate quicker, some complete new ranges from accessory manufacturer Zefal, Briko – a basic range of three sets of glasses headed up by Endure 5.0 styled for all-weather MTB riding, Vermarc and Sportourer saddles and Flinger mudguards, with the company’s complete 2014 range of products – which are now distributed by Chicken CycleKit – on display at the event. Finally, in Seminar Room S12, Chicken CycleKit’s superior bikes will be on show, including the 2014 range of trek and off-road models. Si Watts started in the bike trade aged 16 in 1985 and has been involved in one way or another since that time. He says: “Having worked in the retail environment and later as a rep for a major player at the time, what started as a hobby building websites for a few select customers has rapidly turned into a thriving business catering almost solely for the web needs of bike companies. 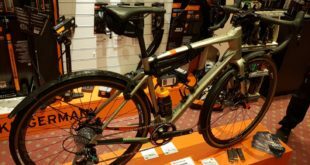 Watts offers bespoke web work, building dedicated systems to suit individual needs, or retailers can select the easy to use i-BikeShop etail system. Ready to go, i-BikeShop is a comprehensive e-commerce system, designed to meet the needs of bike retailers wanting to trade online. Simple self management systems make looking after the content of your site easy for novice users and computer addicts alike. At Core, Watts will once again be joined by Sean from Seanic Retail, for the third year. i-Bikeshop (ecommerce) and Seanic (EpoS) are live integrated and the duo will be demo’ing how the two systems can be used together. On Sunday and Monday of Core Bike 2014 the team behind DVO suspension will be running technical seminars and sessions to help give dealers, mechanics and shop staff the inside track on its 2014 suspension products. With the arrival of the all-new inverted Emerald DH fork it’s an ideal time to help show how the fork can be tuned, serviced and what makes it special. Bright, brash and in your face, Supacaz will be on display at Core for the first time in the UK with the full range of bar tape and MTB grips available to order. Supacaz (Super Casual) like things to stand out and also perform but it’s not just Rasta bar tape and neon grips – cyclists can benefit from the technology, thinking and design in a more subtle offering, like the black option. EVOC’s Bike travel bag protects riders’ bikes wherever they travel with the multi-award-winning EVOC bike travel bag. 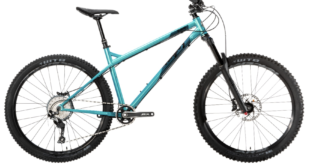 Four colours are available and the bag easily swallows Road, DH and 29er models. 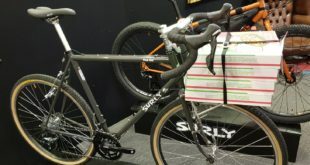 The new EVOC Bike Cover is designed as a multifunctional anti-dirt carrying and storage bag for all types of bikes, and will also be on display. Joining the accessories at Core Bike will be a range of 2014 bikes from Spanish brand Mondraker, with everything from World Cup-winning DH bikes right through to 140mm and 160mm Trail and Enduro machines. Drop by Bentleys to see the range. Bobbin’s new children’s range, Bobbin Junior, will be unveiled at Core in January. The range includes several tasteful retro-inspired models for all ages from four to 14, all made to a high standard in Taiwan and available in a variety of colours. The 24-inch wheel BonBon, designed for nine to 14-year-olds, is already available, with Bobbin dealers snapping up stock in time for Christmas. Equipped with six speed Shimano Tourney gears, the BonBon comes with a nice wicker basket and is available in three colours – pale blue, pale rose and black. The RRP for the kid’s cycle is £279. Other models will be in stock in Spring 2014. Previous Seeking work? How about a job in the bicycle trade?